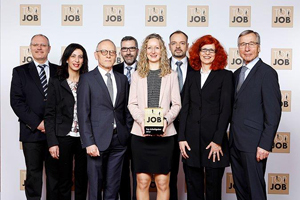 The CHT R. Beitlich GmbH participated again in the well-known TOP JOB competition. Since the company group not only set economic targets, but also focused on the company’s internal development as part of its "Agenda 2020" strategy, a new benchmarking was of great interest. "It is our goal to provide secure jobs worldwide", says CEO Frank Naumann. "In addition, we want to offer all our employees a work environment that is not only safe, but can also be classified as "great". For this reason, we are working together with the works council and Human Resources on further measures that contribute to a "great" working environment." In order to find out the position of our measures and their implementation, we decided to participate in the TOP JOB competition after 2015 again. Last autumn all staff members as well as HR managers of all German CHT sites were questioned by Prof. Dr. Heike Bruch and her team from the University of St. Gallen and the results were evaluated. Focus of the surveys through the Institute for Management and Human Resource Management of the University of St. Gallen were the methods and instruments used for human resource management at all German sites. Benchmarking in terms of employer’s qualities and working environment was again awarded with the TOP JOB prize. Wolfgang Clement, the TOP JOB mentor, honoured the Tübingen company on February 17, 2017 at a festive event at the congress centre Brandenburg Gate in Berlin. Overall, CHT R. Beitlich GmbH was able to improve the very positive results from 2015 in all fields. "We are very pleased to receive this award. It confirms our value-oriented management, the long-term personnel policy and the measures already taken for the "Agenda 2020" so Frank Naumann. The comprehensive analysis of the TOP JOB rating also shows us how we can optimise our quality as employer in the future. For us, committed, qualified and motivated employees are a guarantee for our success. "We are interested in employees who identify themselves with the company, its culture and its goals. Therefore, we will continue to be measured with economic standards, but also with other TOP employers. We want to expand our strengths and tackle the issues in which we still see development potential" says Peter Hepper, Head of Human Resources at CHT R. Beitlich GmbH. "We also want to be able to convince highly qualified applicants in the future". The CHT works council is also very pleased by this award. "Permanent success can only be achieved with good and motivated employees" so the words of Michael Wellhäußer, Chairman of the CHT Works Council. "Not only do we have to set the course, we also have to check intermediate steps and results over and over again. The TOP JOB award shows that we are going in the right direction and the analysis gives us the starting points for further optimization". 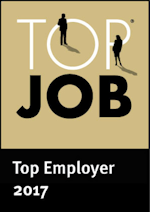 The company comparison "TOP JOB"
The "Top Job" quality label for ideal Human Resources management at medium-sized companies has been awarded since 2002 and is therefore considered to be a pioneer employer label. The scientific direction of the benchmarking is carried out by Prof. Dr. Heike Bruch and her team of the Institute for Management and Human Resources management of the University of St. Gallen. The former Federal Minister for Economic Affairs, Mr. Wolfgang Clement, is the mentor of the competition.